A Kotobukiya Japanese import! Up next after the plugsuit version of Yui Takamura is another beautiful Ani Statue from the popular Muv-Luv Alternative side story. This time it’s a new version of the Russian pilot and adoptive big sister to Inia Sestina dressed for battle, Cryska Barchenowa! In her last appearance the warrior was ready for the beach in her bikini, but now she relaxes on the battlefield after a hard won victory. Dressed in her distinctive body-hugging purple and blue plugsuit, Cryska lounges on the ground, propped up on one hand while the other holds a heavy pistol… just in case. The elite pilot’s suit has striking sculpted details with armored sections, high-tech protrusions, intricate lines, and creases. 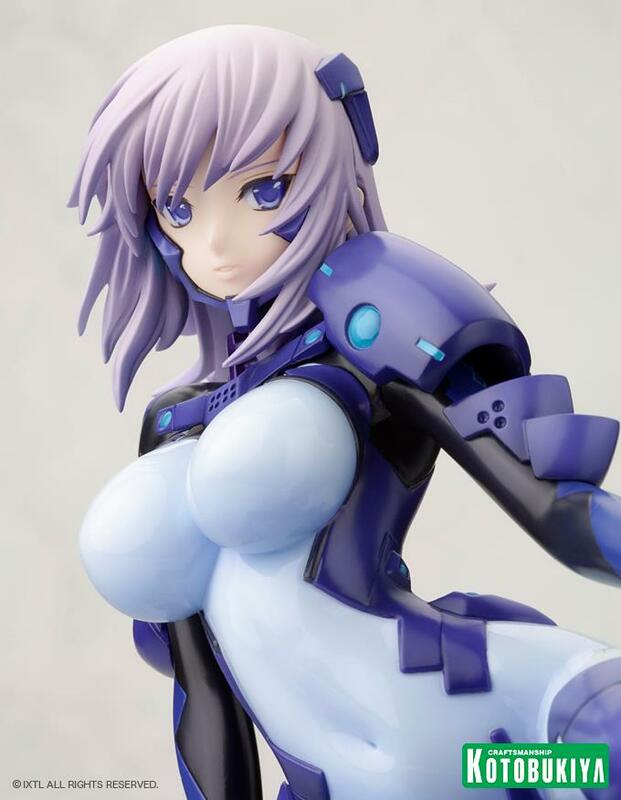 Sculpted by Hironori Tsuchida, Cryska is just over 5 inches tall laying down (1/7 scale) on the georama base as she peers at you with her deep blue eyes, lavender hair drifting in the breeze. 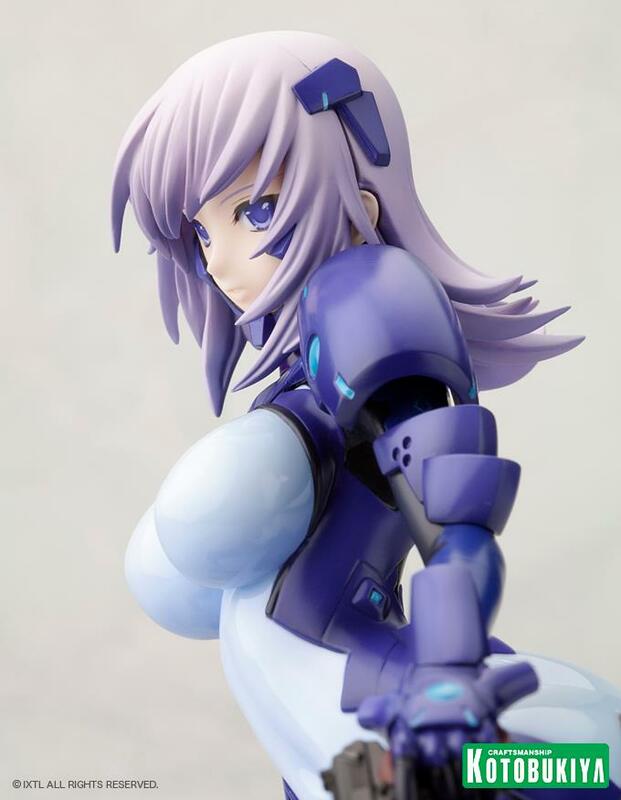 She looks great on her own, and even better alongside other Muv-Luv Ani*Statues from Kotobukiya like Yui Takamura! It's a anime girl fig, whattya expect? It usually either ranges from melon bust to uncomfortably prepubescently flat.